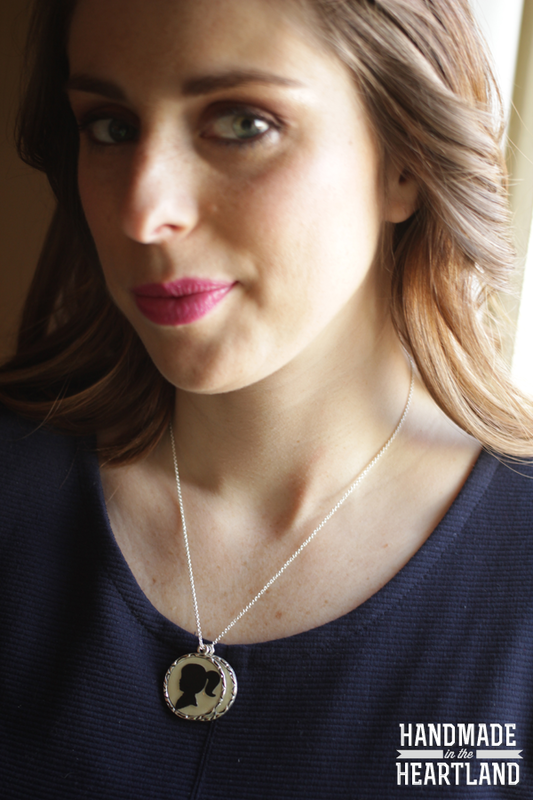 I’m such a fan of silhouette images so when i made this necklace it just made me happy. Â ðŸ™‚ Literally this will take you 20 minutes. Â Ok you have to let it dry so you can’t wear it in 20 minutes, but the hands on time is minimal. 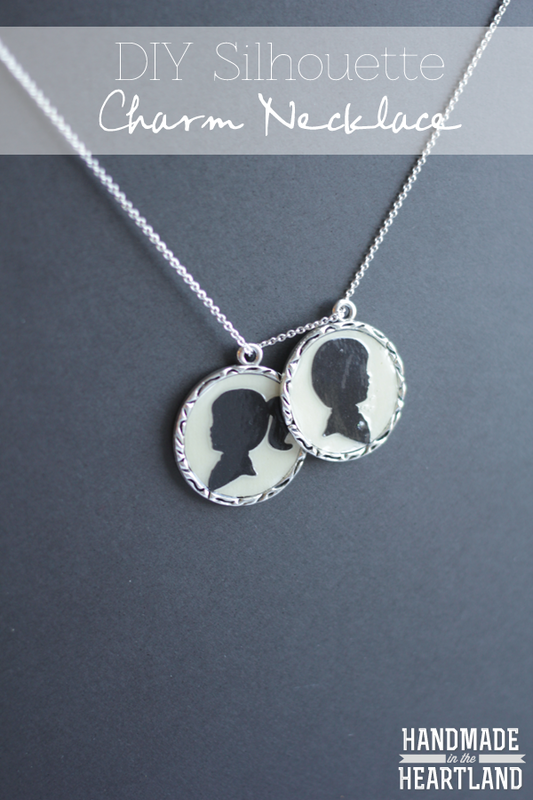 There is lots of room for creativity in this diy silhouette charm necklace, you could do anything really, and if you don’t have a cutting machine to cut out your silhouettes you could easily use stickers from the craft store or any little paper die cut. 1. Â This first step is to cut out the silhouettes and background going into the charm. Â So i measured the inset on the charm, it was 1″, and then i used my silhouette cutting machine software and made circles that were slightly smaller than an inch (.95″) and then i used THIS little boy & girl shapes and also sized them down so they were about .80″ tall. Â If you don’t have a craft cutter you could cut them out by hand using an exacto, or use a die cut or sticker from the craft store. 2. Â Attach the cut out paper to the charm with a glue stick.